Showing that there truly is magic to art, Magic-kyun! Renaissance follows the Hoshinomori School of Magical Arts (called Hoshigei for short), which showcases a rather unique visualization of artistic passion. Each student’s respective medium generates small showers of sparkles, likely manifestations of the artists’ passion, varying in color, shape, and warmth. I generally dislike applying the term “reverse-harem” to an anime like this, since “harem” tends to imply less than wholesome scenarios, though the term is appropriate on a very base level. 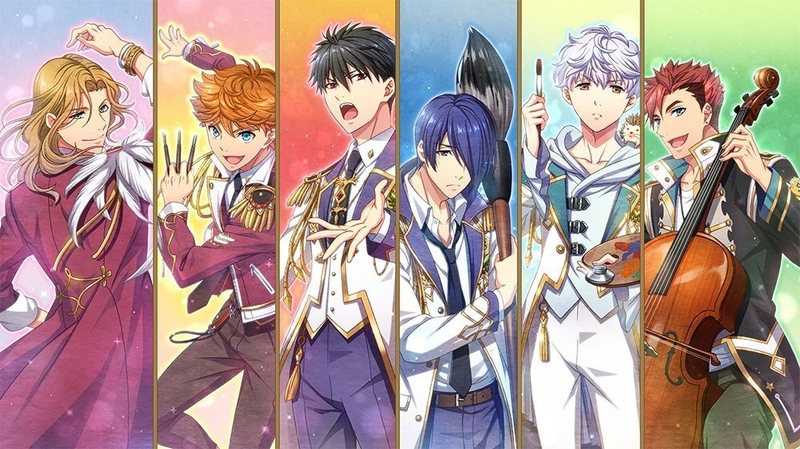 Bearing a close similarity to Uta no Prince-sama almost to a T, Magic-kyun follows lead female Kohana Aigasaki and her various adventures with six male students at Hoshigei as they navigate the magical world of art. Responsible for one my favorite random moments in anime, Aoi’s devotion to his art borders on the extreme at times, though he frequently seems dissatisfied with the end result, as it’s not what he truly wishes to write. Despite being named to the Summer Fest’s planning committee, he fails to show up to the first meeting due to being deeply engrossed in his art. 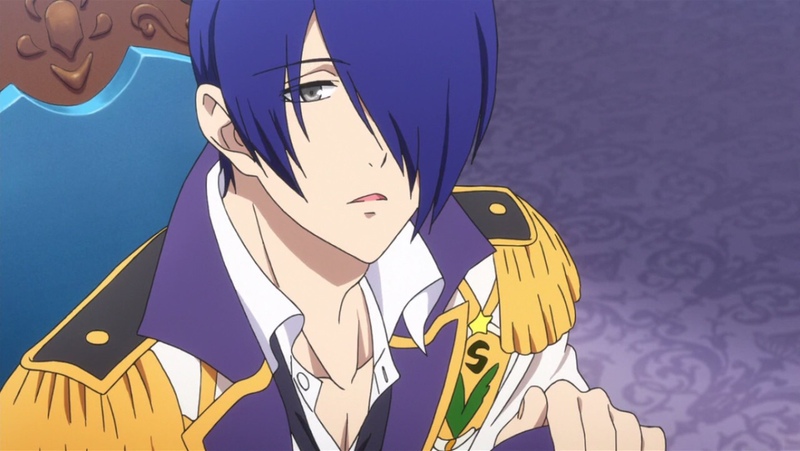 However, through Kohana’s encouragement (and help tidying his workspace), Aoi experiences a resurgence in his artistic passion and begins to attend committee meetings, taking on the role of secretary. Kohana describes his sparkles as “a little pointy.” Aoi tells her that he could once see his own sparkles but has since lost the ability to, and Kohana notes that each calligraphy painting produces less sparkles than the one before (most likely due to declining passion, but maybe workspace clutter as well). Possibly due to his self-imposed solitude, Aoi speaks in a soft, almost husky voice and tends to adopt a hunched posture whether sitting or standing. Aoi’s song greatly reflects the revival (or more literally, renaissance) of his passion and the eye-opening light and encouragement he received from Kohana’s flower arrangements. Even in Aoi’s hushed tone, KENN’s vocals perfectly embody the calligrapher’s subliminal yearning and his gratitude for Kohana shining light into his dim, isolated world. Always surrounded by admiring female students, Louis is a dance major but is initially indifferent towards it despite his talent. He is often getting roped into basketball games with Kanato, which he uses to showcase his sexiness, and acts as a taste tester for his roommate Rintarou’s sweets. Through helping Kohana learn to waltz, he subtly admits he has no real passion for dancing and it is later revealed that his mother aggressively pushed him to focus solely on winning, later abandoning dance when she left. Kohana’s excitement over learning to dance reminds him of his own first excitement and rekindles his passion for dancing, returning to it full-time. Louis’ artistic passion is manifested as a shower of feathers from a pair of angel-like wings, even while just walking (according to Kohana). 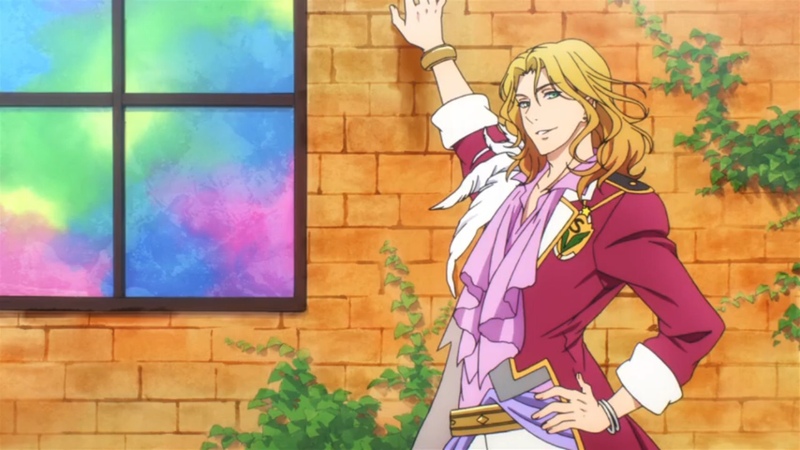 As with Aoi’s song, Louis’ expresses his falling back into dance and letting the music move him like it used to, inviting Kohana to share his newfound joy. Saying that his wings “weren’t broken yet” may imply that he never truly lost his love for dancing, as it was clouded by bad childhood memories, and that teaching Kohana the waltz brought it back to the surface. Admittedly, he didn’t make much of an impression on me, and I’m very easily forgetting he even exists. He frequently plays basketball with Louis, often trying to keep the latter’s “sexiness” in check, and seems to be acquainted with nearly every club on campus. 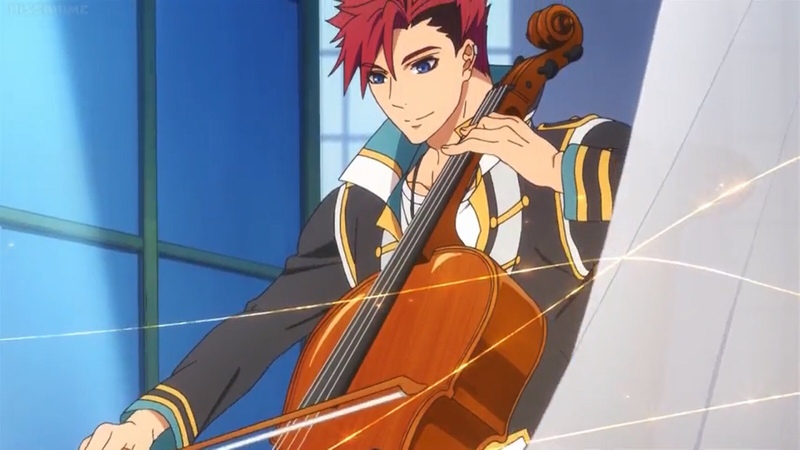 While assisting Kohana with the Summer Fest’s suggestion box, it comes up that Kanato is preparing for a cello recital on top of his committee duties. He and Kohana investigate an alleged haunting (actually just Todo-sensei patrolling the school), which ends up giving the committee more recognition. His sparkles are described by Kohana as warm threads of light (perhaps symbolic of sheet music?). He seems to show a strong fondness for curry and extreme enthusiasm when on the ghost-hunting mission. 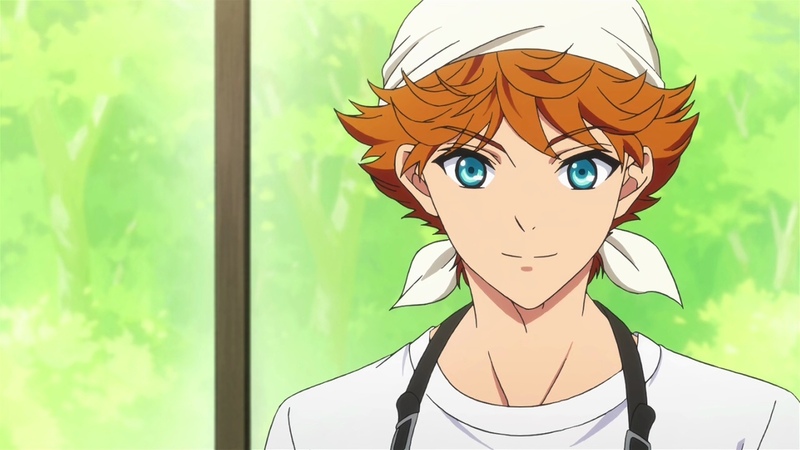 Kanato is very eager to help out and skilled at mediating, which he attributes to caring for his younger siblings. Rather than thank Kohana’s support, Kanato’s song more highlights his desire to help and work with her. Much later, he privately reveals that he’d always been expected to look after his younger siblings, and naturally felt obligated to take care of others as well, thus he was truly happy when Kohana took care of him. I’d always thought he was trying a little too hard to fit into the “Monochrome Prince” reputation, insisting that colored drawings didn’t suit him even though it was clearly where his real passion lay. Even keeping his clothes monochrome, he seems to distance himself from others with a tsundere-bordering stubbornness. Monet’s absence at early committee meetings seems in protest to the members being chosen against their will. Though refusing to interact with them, he does agree to draw the cover for the festival’s promotional pamphlet, only after his pet hedgehog takes a liking to Kohana. Despite being told by Kohana that his colored drawings convey a feeling of joy, Monet remains hesitant to indulge himself, which even his pet seems to question. Observing the committee’s team-building volleyball exercise, he protects his pet from getting hit by the ball, inadvertently joining in and having his eyes opened to a world of colors. After presenting a colored pamphlet cover, Monet begins regularly attending committee meetings and brings the last straggler, his cousin Rintarou, with him. His sparkles seem to appear as stained glass shards, even when painting in monochrome. He seems to have a strong dislike for carrots, shared by his pet hedgehog, much to Rintarou’s chagrin. Monet’s song perfectly expresses his reluctance to tap into the colors in his heart, realizing how empty his life seemed without them and that he’d become bored in the safe world of monochrome. As with Aoi and Louis’ songs, he thanks Kohana for helping him to stop running from his true desires and embraces his new color-filled world. I was a little surprised that, like Monet, Rintarou also resisted doing what he truly loved. He’s easily the more energetic and passionate of the two, and clearly showed great pride in sharing his baked good, frequently using his baking to try and get Monet to eat more carrots. Introduced as a sculpting major, Rintarou’s skills are readily acknowledged but it is noted that his work does not reflect any passion, leading him to fail the third-year exam. He initially blames a busy schedule for not attending committee meetings, though it is later revealed that he was actually worrying about passing the exam. Rintarou fully commits to the makeup test with support from the committee, and confides to Kohana that he’s attempting to emulate an owl his grandfather sculpted for the school’s clock tower, his inspiration for sculpting (even carving a small one for Kohana). Despite reaffirming his drive for sculpting, Rintarou ultimately fails the makeup test and is “encouraged” to drop out of the school. He offers sweets to the committee as a parting gift which instantly lifts their spirits, proving that he failed the exam because his heart wasn’t in sculpting. The principal allows him to change majors, awarding him a passing grade, and Rintarou returns to the committee full time. His sparkles appear as bubbles through both his mediums (and Kohana notes a slight scent of vanilla), though the passion they conveyed was considerably different with his sculptures. In retrospect, Rintarou’s pursuit of sculpting more likely came from the smiles of people who viewed his grandfather’s art and he chose to emulate that, thus misinterpreting his true desire. Easily my favorite of the character songs, the mood is appropriately happy and energetic, perfectly befitting Rintarou’s passion and his simple desire to create smiles. Much like Monet’s song, Rintarou’s describes him finding his true passion lay elsewhere and also him realizing that there are other ways to make people smile. 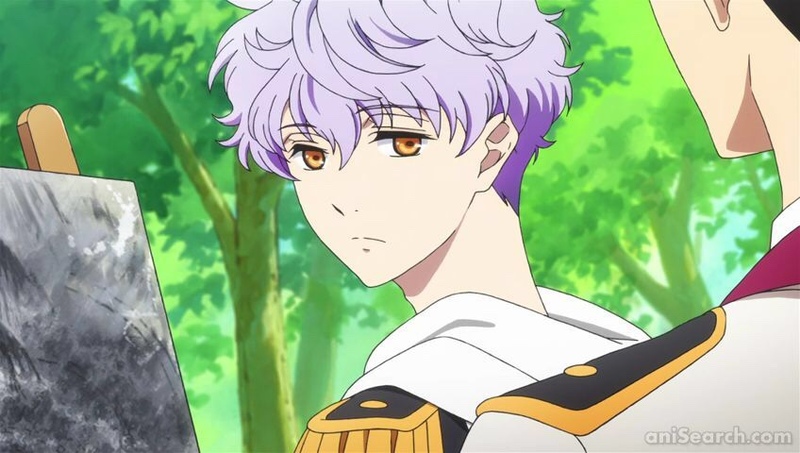 Touted as a king-like prodigy, Teika seems to come off as a bit self-conscious with his singing, as his sparkles dissipate as soon as he notices Kohana watching him. He possesses a natural talent for learning songs, but is pressured by his older brothers to improve the family’s reputation with his art. He seems to hold others to an equally high standard, admonishing Louis’ arbitrary approach to committee meetings and dance. Before the Summer Fest, Teika seems extremely dedicated to his part of the committee’s Art Session, brushing off Aoi’s and Kohana’s concerns over his health. 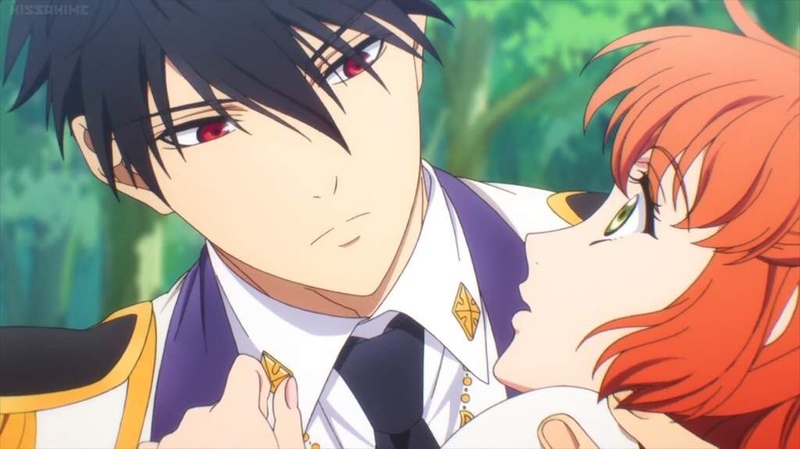 Appearing overly serious at first (almost an arrogant-level tsundere), Teika later admits that he hates being caught rehearsing as everyone expects him to be perfect. He and Kohana, along with Aoi, are assigned to head the cultural festival’s planning committee. Teika at first taunts Kohana’s naiveté and her inability to produce the Light of Arte, but is genuinely surprised when she manages to produce an immense sparkling sakura tree. He later secretly admits to being envious of Kohana’s light and even defends her when his brothers try to intimidate her. The rest of the committee remarks that Teika can be a little annoying, but they all agree that his strictness brought them together. His sparkles appear as jeweled roses, initially cold but gradually increase in warmth through Kohana’s friendship. Teika is the first to witness Kohana’s sparkles, though he soon declares her as a rival upon learning her identity. He aims to be the Artista Prince, though mostly through pressure from his family due to their centuries-old rivalry with Kohana’s family. 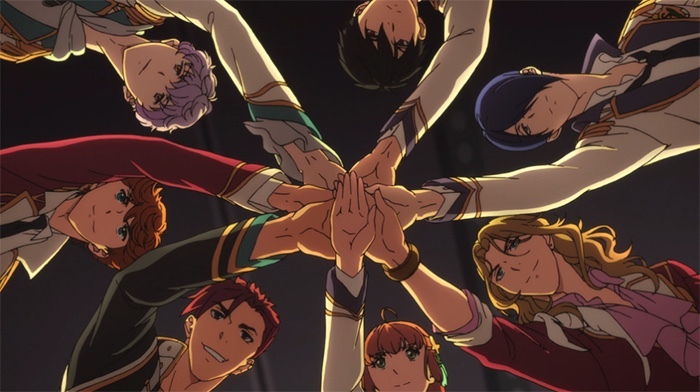 After seeing the Art Session, Teika’s brothers actually praise his performance and encourage him to follow his own path, hinting that he has moved beyond the family rivalry. Teika pledges to exceed their expectations and claims the last dance with Kohana. Rather than cheerful, Teika’s song has a bit of a sad mood (further manifested by his sparkles) and describes sinking deeper and being unable to breathe or escape, feeling suffocated by his family expectations. Despite feeling trapped, he seems to have a faint glimmer of hope, wondering how far he has to go before he meets “the light known as you” (possibly referring to Kohana?). Side note: Listening to the song again again for this review, I was reminded of Umehara’s recent health crisis and all those feelings came rushing back. In May of 2018, he was hospitalized with acute disseminated encephalomyelitis, even experiencing a nearly fatal bout of intracranial hypotension (basically leaking cerebrospinal fluid), but fortunately he fully recovered in July and returned to voice acting. Our stalwart heroine, daughter of Hoshigei’s most famous alum, Kohana is a kind, friendly second-year student who transfers to Hoshigei determined to follow in her late mother’s footsteps. Although she is initially unable to produce any sparkles herself, which most Hoshigei students are automatically able to do, Kohana frantically practices in private and eventually produces showering flower petals. She is somewhat distressed to learn of the Ichijouji-Aigasaki rivalry and strives to improve her relationship with Teika through the committee’s activities, even complementing his singing. Kohana is regarded as something of a celebrity due to her mother’s reputation and the rarity of transfer students at Hoshigei, and is often overwhelmed by the student body’s expectations, floundering at her demonstration. 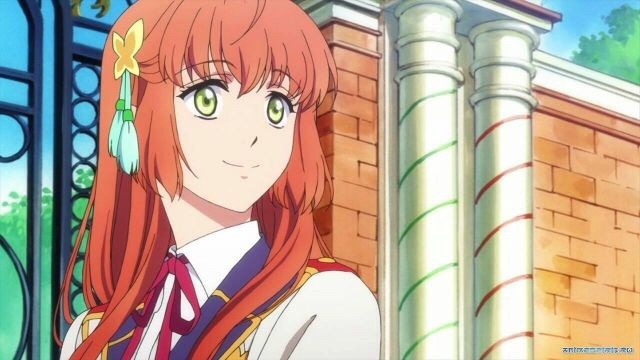 She briefly becomes discouraged, but with help from Aoi (and Teika indirectly), she begins striving to make her own unique arrangements that encourage those who view them, inadvertently inspiring Louis and Kanato to attend committee meetings. Like a lot of anime heroines, she is often overly flustered when it comes to close contact with male students, and is particularly overwhelmed when her fellow committee members argue over who will be her partner for the festival’s last dance. She seems very adept at assessing others’ Light of Arte, being called a “sommelier of sparkles” by Louis. It’s even remarked by Todo-sensei that Kohana seems to have inherited her mother’s stick-to-itiveness, inspiring words, and straightforward approach to people. Her sparkles briefly change to snowflakes, due her to sensitivity to the Light of Arte, and is encouraged to leave the school and refrain from using her magic arts. Kohana’s extreme dedication to following her mother’s example puts her own health at risk, but her friends use their Lights to reach through to her and convince her focus on being herself instead. There’s no such thing as a perfect anime character, and Magic-kyun! certainly holds to that. Rather than climbing over each other to hook up with our heroine, the Magic-kyun! boys are given genuine skills and a fair share of personal issues. While I do admittedly find Kanato a little one-dimensional, he’s not a terrible character overall, and he truly cares about his friends. I hadn’t given it much thought before, but in recommending this anime to a friend, she remarked how Kohana was one of the best heroines she’d seen due to her unwavering determination and boundless confidence. Fortunately, Kohana isn’t flawless to the point where the male characters are constantly having to help her, but was able to stand on her own two feet. She also has a way of making everyone feel better about themselves, basically “what the closest people to them failed to do.” It’s somewhat refreshing to have both a protagonist and supporting cast with substance as well as beauty. The characters all struggle with emotional and psychological issues, afraid to truly be themselves and not being good enough in their chosen paths. The story is easily engaging, relatable, and more than capable of evoking some heartfelt tears from a sensitive otaku. If you love art in any form or are just looking for a good story, this is a highly recommended title to consider.